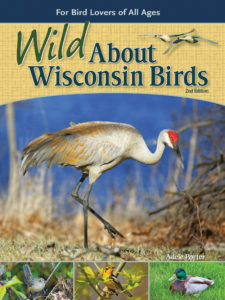 Adele Porter, author of Wild about Wisconsin Birds: A Youth’s Guide to the Birds of Wisconsin, has some great tips for young birders. Sudden movements may startle wildlife. 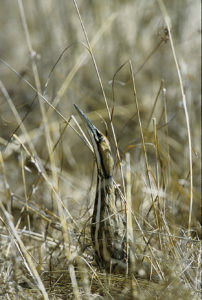 Take a lesson from the American Bittern, a bird found around shallow wetlands and lake edges. The bittern eats small prey such as crayfish, frogs, and fish. It catches them by S-L-O-W-L-Y stalking along shorelines. The bittern’s best moves are almost as slow as the hour hand on a clock. Bitterns also stand still, watching, until dinner swims a little too close . . . gotcha! Just as moving slowly can help you see more birds, so can blending in. The bittern knows this too. Its grass-colored feathers are a great disguise. Because part of being a successful wildlife detective is working unnoticed, it’s smart to wear drab-colored clothing. Camouflage patterns that match your surroundings work great. Birds will be less likely to see you, and you may get a better look at them. Some birds have very good ears. If you talk and make noise, they will hear you coming long before you see them. Great Horned Owls are super hunters, partly because they keep quiet. 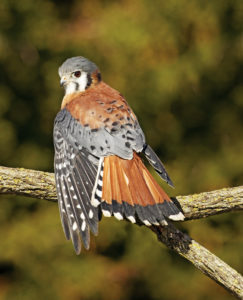 Special feathers help them silently swoop down on mice and other small animals. When you’re spying on birds, think like an owl and barely make a sound. Some birds also use their feet to feel the vibrations of your footsteps. Walk lightly if you want to spy a bird before it flies away. If you saw a giant watching you, would your legs feel shaky? Wildlife can feel like this if you get too close. Binoculars and spotting scopes can give you a close-up view from far away. If you’re not using binoculars, hold your head still and move only your eyes. Animals do this to spy on YOU. Bird calls, songs, and other sounds can be hard to hear, especially at a distance. To improve your hearing, cup your hands behind your ears. It’s amazing what you can hear now. If you don’t see any birds right away, look for signs they’ve been in the neighborhood. These include such clues as wood chips scattered around the base of a tree, holes pecked in a soft or decayed tree, droppings, food scraps and empty seed shells, wing marks on the snow, even a stray feather. Wild birds and animals can be unpredictable. They sometimes move fast, often without you knowing ahead of time. Keep a safe distance away. Many cameras have a zoom lens that allows you to get close-up photos, while staying a safe distance away. You may need to remind the adults with you about this safety tip. If your mom or dad thinks it would be cute to have a photo of you standing next to a moose or Canada goose, tell them to use the zoom lens and leave you out of the picture. Souvenirs help us remember fun times. A photograph, drawing, artwork, and your own stories are super souvenirs of time afield. Leave everything else in the outdoor neighborhood— including baby animals that look like they’re all alone. Resist the temptation to “rescue” them. Chances are, their parents are nearby. Your pet hamster may enjoy being picked up, but wild animals do not. Don’t try to pet or touch a wild bird or animal; it may get scared and bite, peck, or scratch you. Keep your distance, especially during nesting season. 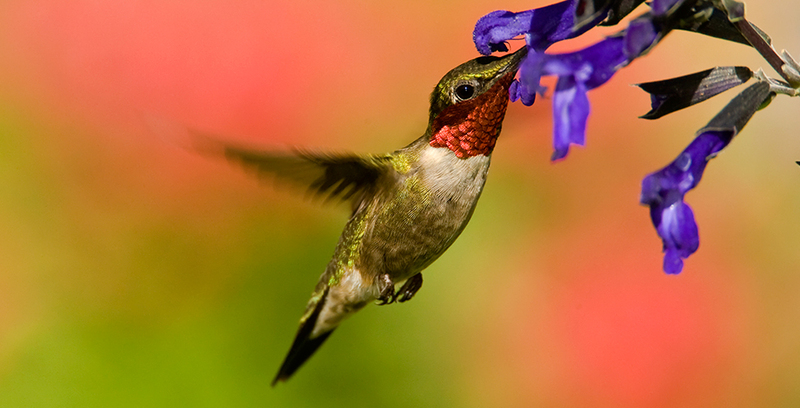 If you really want to give wildlife a “hug,” build a birdhouse or backyard feeder. Leave our big Wisconsin neighborhood as you find it. Then give yourself a pat on the back for being a responsible wildlife neighbor.